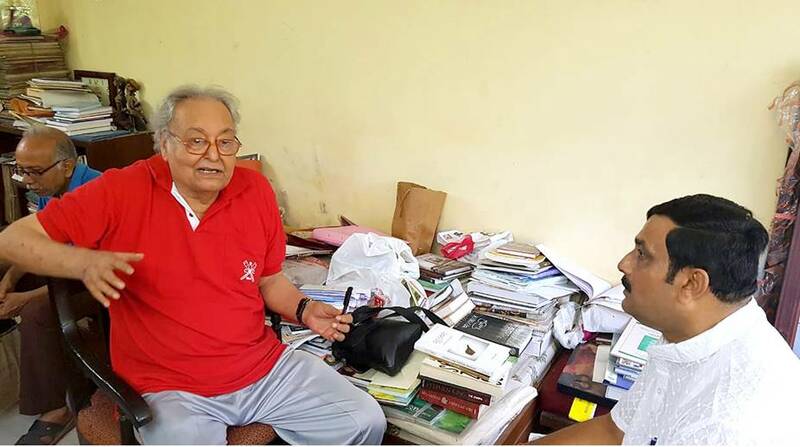 BJP leader Rahul Sinha had to face some straightforward criticism of his party’s government at the Centre when he met veteran actor Soumitra Chatterjee at the latter’s residence as part of the party’s Sampark for Samarthan campaign. The actor bluntly expressed his displeasure over the Narendra Modi government’s note ban move of November 2016. Chatterjee, who had reportedly given only five minutes to Sinha for the meeting, told him how the NDA government’s move to demonetise Rs 500 and Rs 1000 notes upset him as he had to face a lot of difficulties. “Maybe demonetisation has some advantages. But I was not happy… I had to face a lot of practical problems due to the cash crunch,” Chatterjee told Sinha. Sinha, a BJP national secretary, met the thespian at the latter’s Golf Green residence on Friday. Sampark for Samarthan is the BJP’s mass connect plan ahead of the 2019 general elections. Under the outreach programme launched by BJP president Amit Shah to reach out to intellectuals across the country, Sinha met a lot of other eminent personalities too to seek their views and suggestions on the government. Among the others who he met were retired Air Chief Marshal Arup Raha, former commissioner of police Dinesh Vajpaye, and Justice (retired) Shyamal Sen. While all of them avoided making any controversial statement, Chatterjee chose to speak on demonetisation. 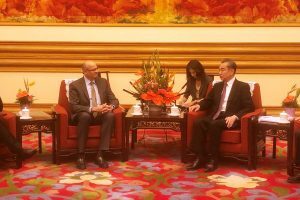 He, however, refused to offer any suggestion when asked if he had any to improve the government’s performance, saying he is far removed from the politics these days. In reference to the government’s demonetisation move, Chatterjee stressed that he was speaking about the difficulties he faced as a common man. “I am not an economist, I don’t understand all aspects. But all of a sudden so much money becoming useless was really a big problem,” he said. The BJP shared clips of video of the meeting on its WhatsApp group for media. While rival parties called it Chatterjee’s snub to the BJP, the party claimed otherwise. “Mr Chatterjee was a little unhappy with the demonetisation, but was really happy with the other works of our government” Sinha told reporters. There were a lot of speculation ever since it was known that BJP planned to meet the legendary actor who enjoys immense popularity among the people of Bengal and outside the state too. Chatterjee is learnt to have said there was nothing “special” about the meeting as he was used to meeting several visitors every day. Chatterjee was known to have a Left leaning once upon a time, though he has stayed away from politics for many years now. The octogenarian was recently honored with the Legion of Honour, the highest civilian honor in France, for his contribution to films.